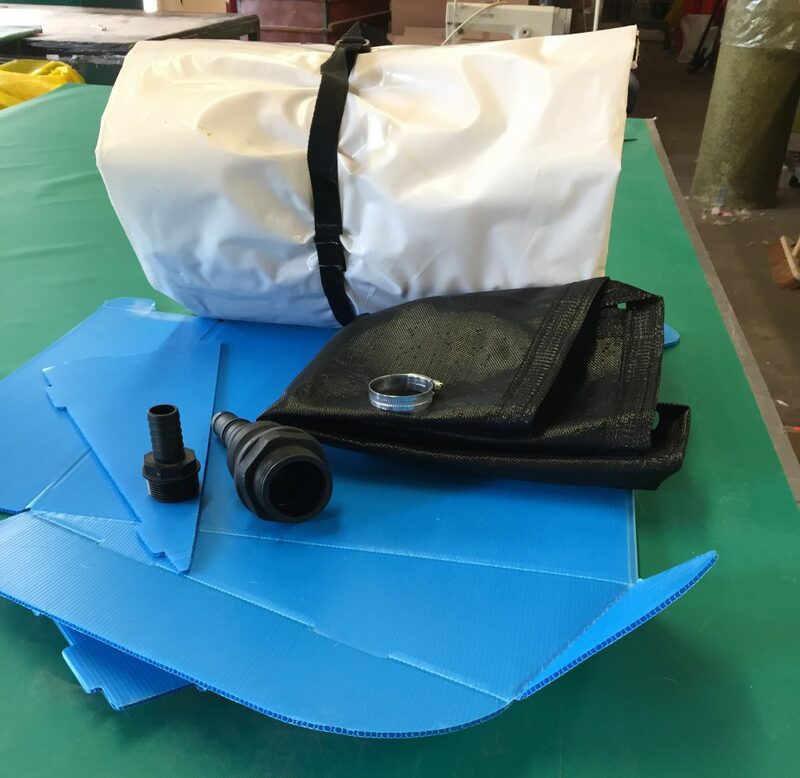 The Sockit filtration system is one of the most simple and economical solutions to the problem of dealing with contaminated water pumped out of manholes, vaults, sumps, bunds, retention ponds and ditches. Suitable for a wide range of de-watering applications, it removes hydrocarbons and suspended solids from water without slowing up the pumping process. Good for your business and good for the environment: the Sockit system eliminates the cost of removing contaminated water by tanker for processing off-site. 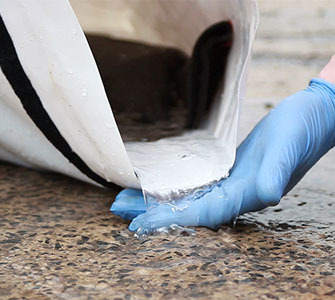 It also avoids the release of low-level contaminated water into the environment. The Sockit system comprises an innovative multi-layered filtration system contained within a 2500mm long recyclable plastic sock. Each Sock can filter 10-20 litres of oil, and independent tests demonstrate 99% efficiency in removing fine particles. Safely dewatering manholes, chambers, settlement tanks and bunds of oily water, ready for discharge to foul sewer. Final filtering of water from oil water separators before discharge.